Calligraphic vertical eastern frame. Restaurant menu. 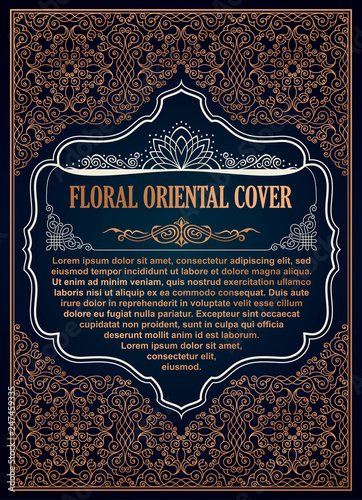 Luxury vintage ornate greeting card with calligraphic design.